On October 5, 2017, the Washington Supreme Court issued a ruling that protects persons accused of DUI from being forced to submit to random pretrial urine testing as a condition of release from jail. Robertson Law attorney Ryan Robertson, along with other lawyers from the Washington Foundation for Criminal Justice, filed a “friend of the court” brief which helped to secure the Court's decision. For many years, trial judges have ordered persons accused of DUI to be subject to conditions of release until their cases are resolved. These conditions often times resemble “punishment,” and can have a tremendous financial and personal toll on the client. In Blomstrom v. Tripp, 189 Wn.2d 379, 402 P.3d 831 (2017), the Supreme Court ruled that a person's right to privacy in bodily functions prevents the government from compelling a person to provide a urine sample without a warrant. When charged with a crime a person retains the presumption of innocence. Therefore, while the trial court can place certain conditions on release from jail pending trial, the court cannot force a person to forfeit their right to privacy with their bodies. The attorneys at Robertson Law frequently write “friend of the court” briefs in important criminal and DUI appellate cases. Such briefs help the Court to understand the important legal and constitutional issues raised in the case. 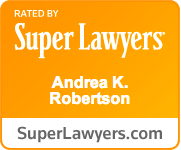 If you have questions about a criminal appeal please contact the attorneys at Robertson Law.